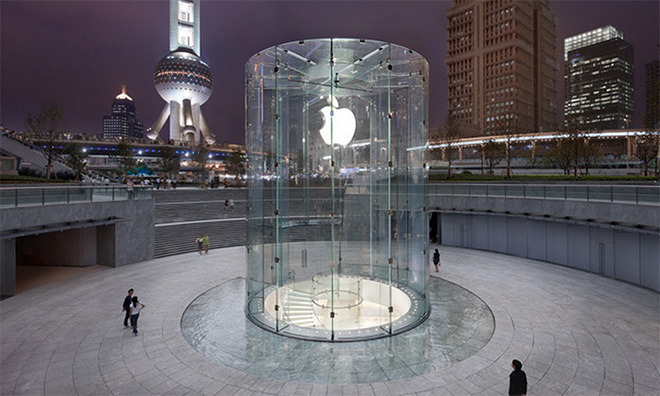 Though Apple posted record-setting highs for the first quarter of 2016, revenues are still facing headwinds in China due to a weak yuan and continuing difficulties wth the Hong Kong market. For the first fiscal quarter of 2017, Apple pulled in $16.2 billion in revenues from Greater China, down 12 percent from the same time last year. The operating segment, which includes Taiwan, Hong Kong and mainland China, was the only region to experience negative growth for the quarter. In a call with investors on Tuesday, Apple CEO Tim Cook noted China's weak currency accounts for at least four points of Apple's quarterly revenue decline. Calculating on a "constant currency" basis, sales in mainland China were actually up six points year over year, he said. Further, the recent results are compared against Greater China's all-time quarterly record of $18.4 billion set in the first fiscal quarter of 2016. Looking at individual products, half of all iPhone sales in the region went to switchers and first time buyers, and Cook said the company's smartphone install base continues to grow in "strong double digits." Upgraders are another story, one that was not mentioned during today's call. Beyond the bread-and-butter iPhone, both iPad and Mac saw double-digit growth over the past quarter. Despite what Apple considers a "significantly better performance" in mainland China, at least compared to the trailing three quarters, Hong Kong continues to be a tough nut to crack, Cook said. The lucrative market has always been a difficulty for Apple, especially in terms of iPhone adoption. Commenting on the Chinese situation, Cook said, "One, the currency has devalued 6 percent year over year, and two, Hong Kong remains a very very difficult market. And so I look at it and I'm encouraged with the significant improvement, but we're not without challenges there."